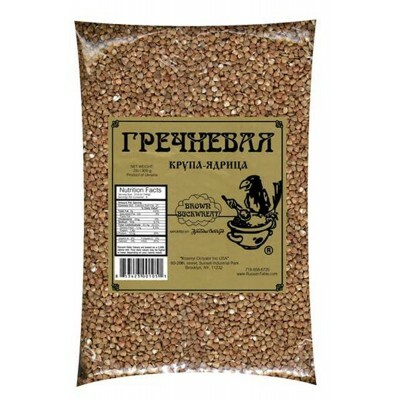 Buckwheat Groats 2 lb / 908g buy for 3.7900 in store RussianTable with delivery. The kernel is a whole grain of buckwheat. It is peeled using a special technology which saves its nutritional properties for a long time. Buckwheat Groats is a rich source of carbohydrates. This cereal contains a huge amount of microelements and minerals. It is rich in wholesome proteins necessary for human health. Cooking buckwheat is not difficult. It is safe to eat buckwheat when losing weight. 100 g of the product contains 132 kcal. Searching where to buy kasha? Buy kasha buckwheat in a store RussianTable. 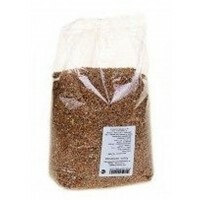 Do you have any questions about Buckwheat Groats 2 lb / 908g?